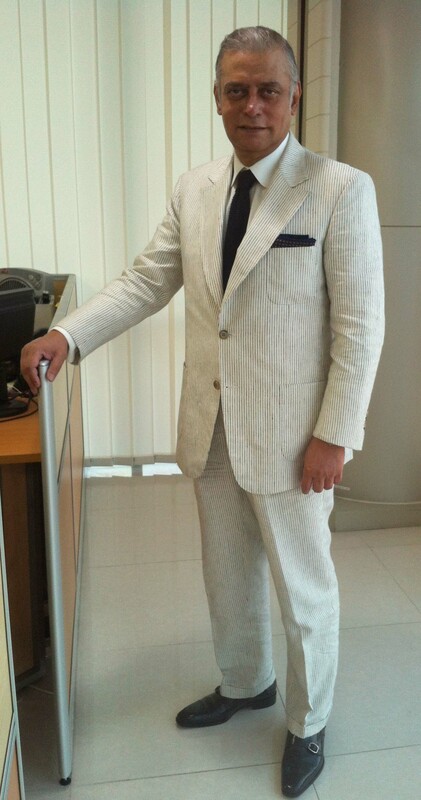 Today I am wearing a white linen 2-button suit with thin black stripes and white club-collar double-cuff shirt. The suit’s lapel is what is called a “fish-mouth” lapel. 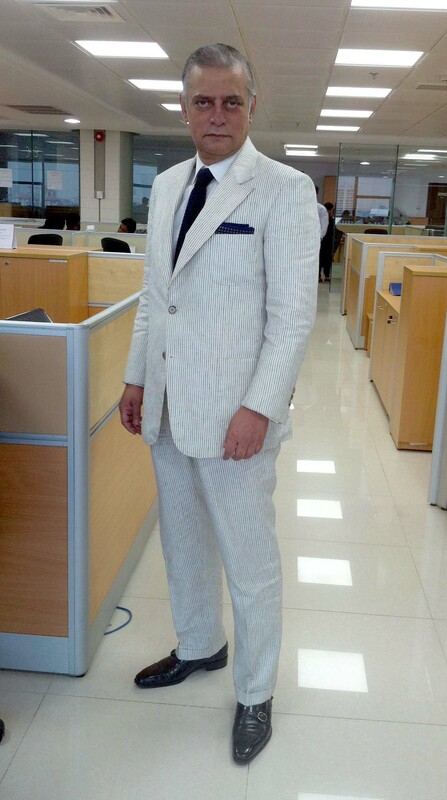 A linen suit is an informal suit and one should avoid wearing on for formal occasions. A silk knit tie is also more informal choice compared with a plain silk tie. Therefore, a silk knit tie is a good choice for a linen suit. 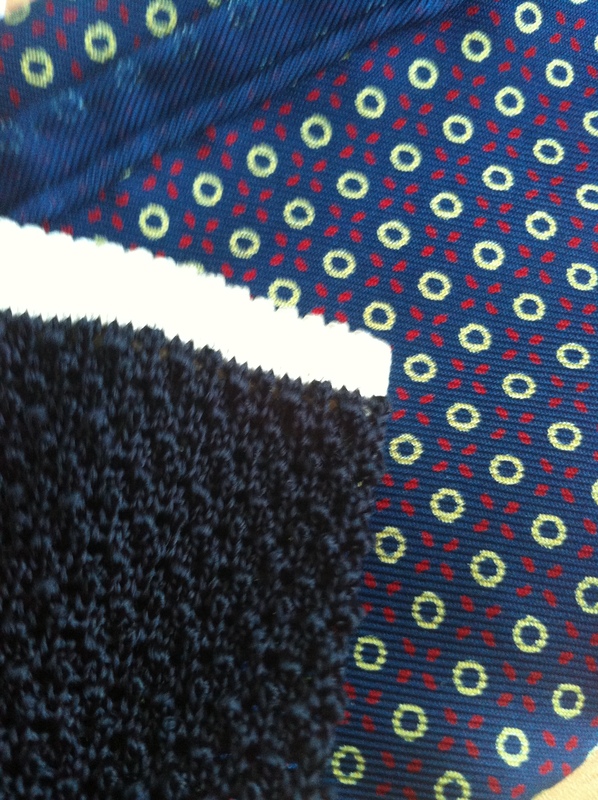 The knit tie’s color is dark blue. Today I am wearing a printed pocket square with lot of blue in it and coordinates well with the blue tie. The choice of shoes is a black double-monk. Again a monk (both single and double) is less formal than a lace-up, and the most formal among lace-ups are oxfords. A monk is a good option for a linen suit. I am particularly fond of monk shoes and would often wear them even with very formal suits and occasions. 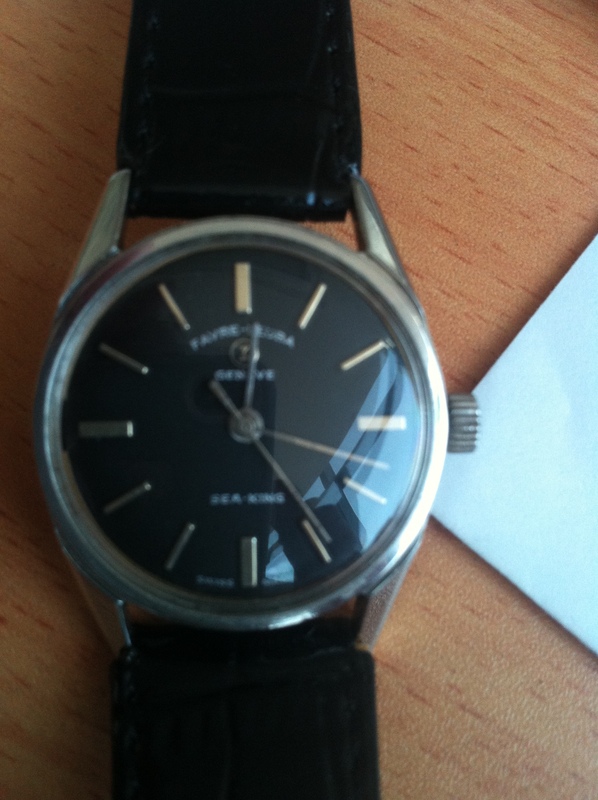 Today’s wrist watch is a Favre-Leuba Geneve Sea King, manual winding version from 1962. 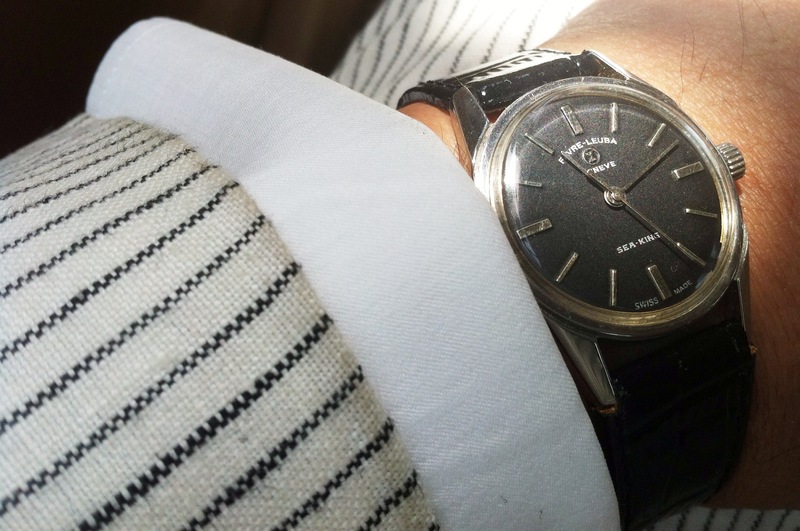 The watch has a black dial and coordinates well with the black stripes of the suits and other black accessories. Finally, today I am wearing a black leather belt. Very vintage inspired and dapper!